Nicole offers practical tools to help you navigate the daily ups and downs, and ways to rewrite your struggle into a new, God-centered life story. 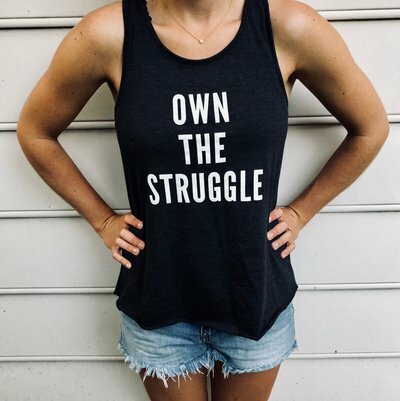 The Struggle Is Real is an invitation to take the hard, hurtful, and confusing moments and turn them into opportunities to grow in wisdom, strength, and joy. The disconnect between what we believe and how we act―this changes everything. 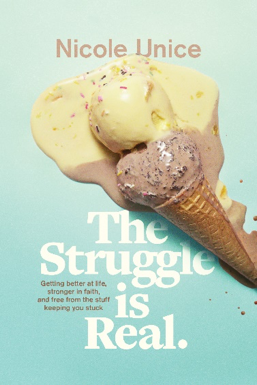 The Struggle Is Real is a practical guidebook to help us take God at His word and live lives of freedom and power. 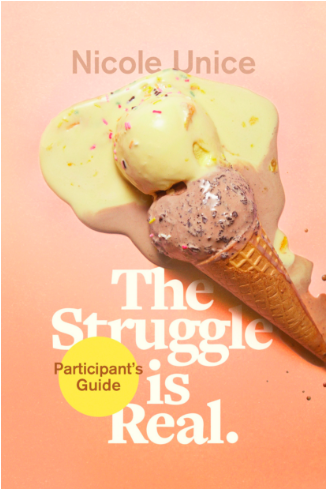 The Struggle Is Real Participant Guide is a six-session workbook designed to use with the DVD Experience. The guide is an invitation to take the hard, hurtful, and confusing moments of your life and turn them into opportunities to grow in wisdom, strength, and joy. 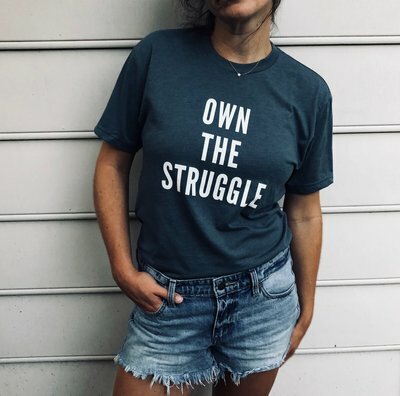 Join Nicole Unice to discover why the struggle is real and what to do about it. Nicole offers practical tools to help you navigate the daily ups and downs, and ways to rewrite your struggle into a new, God-centered life story. 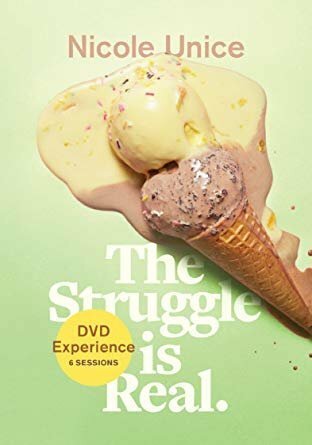 The Struggle Is Real DVD Experience is an invitation to take the hard, hurtful, and confusing moments and turn them opportunities to grow in wisdom, strength, and joy. Every woman I know needs more courage―to make the hard choices that lead to the best decisions. 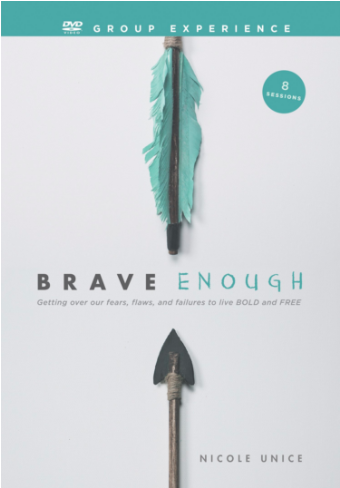 In Brave Enough, Nicole invites us to a deeper understanding of Jesus-courage that empowers and transforms our lives. You need this book! 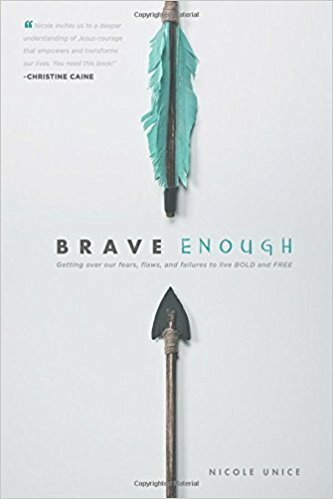 In Brave Enough, Nicole Unice challenges you to get real about where you are right now―the places where you feel too scared to change, too tired to endure, or too worried to let go. Through personal stories and practical application, Nicole will lead you on a journey to harness all of your misspent doubts, concerns, and fears―and discover what God is saying about who you can be. Nicole Unice's Brave Enough DVD Group Study is for real women who feel stuck or exhausted or afraid of taking the next step into their futures. In eight 20-minute sessions, discover that bravery isn't about cliff diving; it's about living your life in the moment, with confidence that God has you where he wants you. We are not alone, ladies! You want to be a Godly woman, you do your best, but still get tripped up by life -- and trust me, we ALL fall short! Nicole Unice is honest, insightful and so very funny. She talks straight to your heart and gives us hope. We are a work in progress -- God loves us right where we're at. 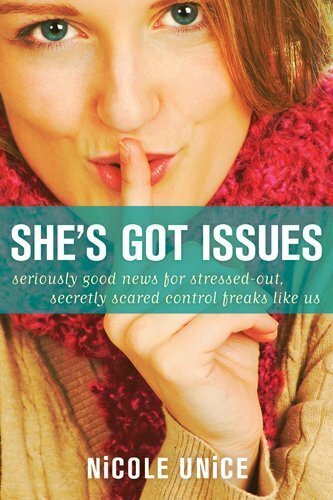 In She’s Got Issues, Christian counselor, ministry leader, and regular mom Nicole Unice explores the ordinary issues that are keeping you from the full and free life you were meant to have. Applying years of counseling with practical scriptural teaching and a fresh and authentic voice, Nicole shows you how to let God freely shape your character―and transform your life from ordinary to abundant. There were so many things that I could identify with... nodding my head along in agreement much of the time throughout the study... We all have issues. This definitely has helped me to begin to heal from some of them that I carry over in my own life. 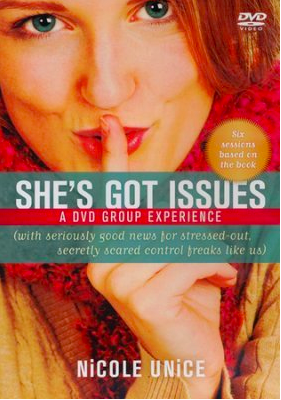 Nicole Unice shines on video in this inspiring seven-session She’s Got Issues DVD Curriculum—perfect for churches and small groups. 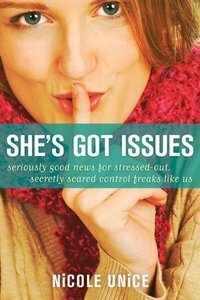 As she does in the book, Nicole talks candidly about how the everyday issues that drive you crazy affect you and why you don’t have to settle for letting them win. "This is a book that blows the foam off the top and gives His simple message uncomplicated, accurate freshness. 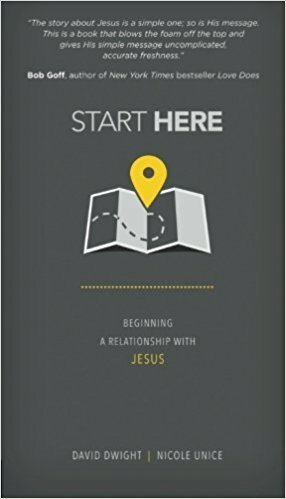 Whether you are thinking about a friendship with Jesus, started one recently, or know it's been years in the making, you're going to enjoy this book and the clarity of the message. It's all about what love does when it comes to earth and what happens next." Following Jesus isn’t about rules—it’s all about relationship. Use Start Here to find practical help and encouraging stories about what authentic Christianity looks like. Welcome to the journey of a lifetime.